Fabulous and Brunette: Enticing the Boss by Lily Bly - Book Tour - Book Trailer - Guest Post - Giveaway - Enter Daily! 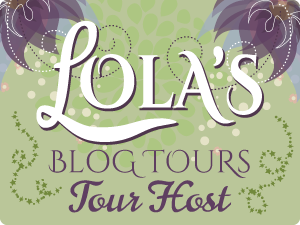 Enticing the Boss by Lily Bly - Book Tour - Book Trailer - Guest Post - Giveaway - Enter Daily! Hey lovelies! It gives me great pleasure today to host Lily Bly and her new book, “Enticing the Boss”! For other stops on her Goddess Fish Promotions Book Tour, please click on the banner above or any of the images in this post. Be sure to make it to the end of this post to enter to win a $30 Amazon or Barnes and Noble Gift Card!! Also, come back daily to interact with Lily and to increase your chances of winning! Always focus on the action. Most writers have passive vs active down pat early on. However, we can take it one step further. Consider this sentence: I felt a blush creep up my neck. It’s an active sentence, but we can give the reader a fuller experience with something like this: A toasty blush crept up my neck and thawed my frosty indifference, warming inch by traitorous inch. Sometimes a simple I felt or I watched is needed, but if you can enrich the story by revising some of those narrative phrases to something more indulgent, go for it. I find focusing on actions like this help to keep the story fresh for me, too, while I’m writing. We all hate the stagnation of writer’s block. The plotter versus pantser debate will always rage, and there’s no definitive right or wrong. But for a long time, I wobbled between the extremes of each. I can create amazingly detailed outlines for plots, but at the end of the day, I still haven’t bridged that gap between idea and story. Likewise, I can write an awesome scene by the seat of my pants, but I’ll have trouble linking it to a fully developed story arc. By the time I finally work out a complete story, I end up having to cut those favorite pantser scenes. You might say this is just ye olde kill your darlings. Sure, that is part of it. There will always be cuts, but it also feels like a massively inefficient use of my time. The compromise I’ve found is what I call my half-draft. I think of it like a skeleton, and it’s heavily centered on dialogue/characters’ conversations with telling/plotted place holders. Will I end up revising that dialogue? Yes. Will I revise the telling to showing? Yes. However, it’s the best way I’ve found to bridge my ideas into stories and maintain the continuity of plot while letting the pantser muse have her way. I’ve learned to use distance and sound for revisions. Put your project away for at least 48 hours—one to two weeks would be even better. (I know you’ve read this elsewhere…and like me, you’ve ignored it. Dammit, we just wrote the next great American novel, didn’t we? Seriously, I know we did! Everyone is going to love it!) Yes, I know you have that feeling after completing a piece of fiction. We all do, and we should be proud of what we’ve accomplished. BUT we must also realize there is always room for improvement. So PUT YOUR PROJECT AWAY. Set a timeframe that you can stomach and come back to it with fresh eyes—and ears. Either read it out loud to yourself, have someone else read it to you, or use a text-to-speech utility. I like https://ttsreader.com/. It’s free, and you can switch voices and reading speeds until you find something that suits. I split my screen between the browser and my document, follow along, and pause the reader as I make edits. Combining these tactics will help you to execute a more effective revision. That distance you’ve created will allow you to see what you’ve written, not just what you intended to write. The audible format will help you catch typos and phrasing mistakes. (This last petal is still a work in progress for me, too.) You FINALLY have a polished piece! You’ve slogged through summary and query, and you’re ready to send it out. (Utilize personalized simultaneous submissions unless explicitly prohibited by your dream deal.) After you’ve bravely hit that send button, the most difficult thing is to wait on the replies…for months. I’m repeating that: months. Plural. Don’t make yourself crazy checking your email every hour. (Or half-hour or fifteen minutes…you just checked again, didn’t you? How does she know I’m doing this? For me, patience is the hardest part of the writer’s life. Fill that heart-rending downtime with more writing, reading books in your genre, and improving your craft. If your submission doesn’t pan out, you’ll have another one to try—or understand how the first can be improved. For your benefit and mine, I’m going to say it one last time: be patient. Lily will be awarding a $30 Amazon or B/N GC to a randomly drawn winner via Rafflecopter during the tour. I'm glad it was 'enticing' ;-) Hope you enjoy the book. Thanks for stopping by. Thanks for watching it and commenting, Victoria! Don't forget to sign up for the Rafflecopter giveaway. Hi, Bernie. Thanks for reading! Many of my characters' first names are middle names used throughout my family's history. I actually love using unusual names in my stories, but for Enticing the Boss and my other works for TWRP, I decided to tone it down a little and just go with these simpler choices.